Why is the price of the Senior Pass increasing? The price of the America the Beautiful – The National Parks and Federal Recreational Lands Senior Pass is increasing as result of the Centennial Legislation P.L. 114-289 passed by the US Congress on December 16, 2016. How much is it increasing? The lifetime Senior Pass will increase from $10 to $80. CVFF – Mammoth Outing – Thurs to Sun > 09/14/17 to 09/17/17. Well priced at $60 per person! $60 per person for the WHOLE WEEKEND! Open to all members* of all levels and abilities of fly fishing. / ** Check with Peter regarding inviting guests. MUST RSVP as there are spots for only 7-8 persons in Mammoth condo. Cost per person: Approx $60 per person for a total of 8 persons. ** Less than 8 the price will go up accordingly. To fish with friends and enjoy everyone’s company. Help out each other in fishing different areas. – Group will decide as we go. – May decide to go out or cook in. There is a Vons grocery store locally. Our programs will be hosting simultaneous daylong events on Saturday, September 30, 2017 to raise funds and awareness of our cause and the injured and disabled veterans we serve in communities across America. Join us in celebrating the volunteers, supporters and communities that help make a difference in the lives of our nation’s disabled veterans. Teaching Veterans with Disabilities How to Fly Fish. 6 pm-8pm at the Veterans Memorial Building. The clinic is back! The extremely popular casting clinics are scheduled to resume in September and continue on the first Saturday of each month. The clinics are open to SCFF members and non-members alike. So get ready to hone your casting skills or learn a new cast from one of the certified instructors. Bob Smith is currently the SCFF’s Casting Director and is an FFI Certified Fly Casting Instructor. Bob is available to anyone who would like some help with their casting. Courtesy Posting: SPFF (fly fishing club – Sierra Pacific Fly Fishers) has a great outing coming up October 27-29. 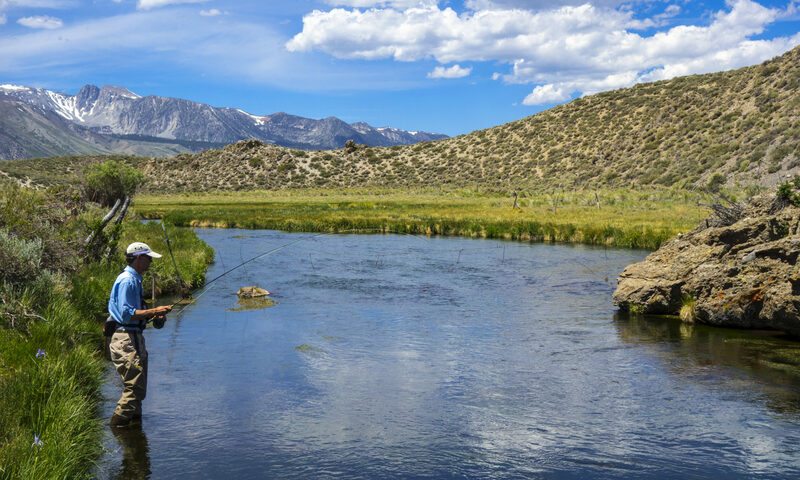 SPFF will be hosting a Nymphing Clinic that will be in the Bishop area, fishing on the Lower Owens. This clinic will show you how to fish with nymphs below the surface. There will be 3 days of instruction, Friday, Saturday, and Sunday mornings. There will be no fee charged for the outing, and students are responsible for their own lodging and expenses. On Friday and Saturday morning, they will be meeting at the rear parking lot of BBQ Bills to pair up students with instructors at 8:30am. A group dinner planned for at 6pm. On Saturday evening so everyone can tell their fish stories. The location will be provided to everyone as details become available. Registration for the clinic is required on the website. Make sure you check off the days of instruction that you would like as well as the dinner on Saturday evening.